As you've probably noticed, Viva Fashion got a little makeover. I'm so excited to share our new website look with you (special thanks to Fran for the design) To celebrate, we've partnered with Olay to give two lucky readers this amazing gift bag that includes a skincare regimen for the face and body of Olay's latest products. You'll also get a water bottle to help you keep hydrated over the summer, a water-resistant shower radio and a turbie-twist towel to give your summer showers that extra dose of soothing relaxation. To enter simply leave a comment below telling me what your summer plans are and how this gift bag will make it better if you win. For an extra entry tweet out "I want to win the @VivaFashion Olay Gift Bag Giveaway #Olay "
This summer I plan on cutting my hair really short.By winning this OLAY gift bag it will help keep my face and skin clear and radiant. My summer plans are alot of outdoors, festival, outdoor concerts, picnic, theme parks and being in the pool. Olay are famous for their skincare and body care, I need it to lavish my skin after being out in the hot summer sun. My summer plans: well I am going on a day trip to the beach and to a theme park. I am going to CO for a weekend and this bag would help me look my best as I capture the memories of all those days! We're going to have a road/camping trip, this gift basket would be perfect to bring along and keep our skin fresh and pretty. This summer I plan on vacationing with friends and family. I'm having a girls retreat with my sisters (that have been having it rough lately) and I would like to make them some pampering goody bags. This Oil of Olay basket will be perfect for them. I have the Summer off as it'll be school holidays (I'm a teacher). I hope to relax in the sun and just get away from everything. This gift bag would hopefully help my skin and keep it nice and smooth! My summer plans are to spend time outdoors and in my garden :) Olay can help me protect my skin from the harmful effects of the sun. *Thanks* for the giveaway! I plan on being outside a lot, rescuing cats and kittens, and vacationing in Aruba with my husband. I need to look my polished best at all times, and Olay would help me do that! I will go to the beach with the BF and all theses goodies would help me to look incredibly gourgeous in all the pictures that we will take. well i'm pregnant so my plans aren't much, but I would love this to keep my dry skin fresh! My plans include celebrating our 2 year wedding anniversary with my husband and just simply enjoying life!!! This summer, I will be turning 21 and going to Jamaica to celebrate. Seeing that I will be in heat nonstop, this bag will help keep my vibrant and hydrated. My sunner plans to travel a little more even if its quick weekend giveaways, read more, start my own business & keep up with my bootcamp classes. I love Olay products..they always makes my skin soo nice & soft. And also spend some time with family and go to summer school. I think these products will help me because I have only tried one product from Olay and that was their oil-free moisturiser (in a pink bottle). It really worked well for me and at this stage I am still trying to get those blackheads on my cheeks away so I think maybe this could do the work. It would be cool to try the whole set but its just so expensive. I've already taken my little summer trip to Busch Gardens. Was awesome! I really want to try out the cream cleanser because I cant seem to find one that works for my skin and I've actually never tried any Olay products! Hi Carmen! Loving the new layout of the blog! and this giveaway is just fantastic! My summer plans are going back to school for Fashion Merchandising and enjoying the Miami sun! This giftbag will help minimize my dark circles from long nights studying (lol), And I've been dying to try all of this products! 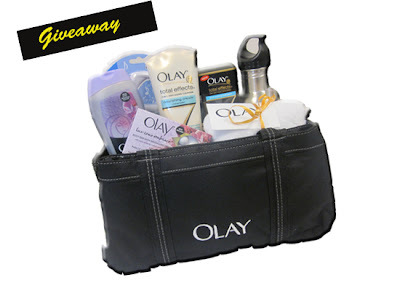 I will be marrying the love of my life this August and this fabulous Olay gift basket would help me achieve a beautifully radiant bridal complexion! No definite vacation plans this summer,just going to take some daytrips,visit family and friends and enjoy summer. The Olay gift basket products will help to keep me fresh and beautiful. My summer plans is basically to just relax and take it slow before I start college. I also can't wait to go to the beach and take road trips with my best friends. The gift bag will be great because my face will be going through so many elements and I need great products to help it. I will be heading back and forth to the coast a lot this summer to spend time with my new nephew. This would be a great goodie bag to throw in my car whenever I need to take off! My summer plans include a lot of running, ball games and summer camp. These products would keep my skin healthy and my mind sane! my summer plans include buying a house! This would make it better because my skin would stay looking fresh & healthy. my summer plans are to start my new job! This gift bag would make the early mornings and dry office environment so much better, so i would actually enjoy my mornings! i would love to win this!!! my summer plans include a few beach trips (if im lucky) and some pool time. This basket would be totally cool since i need the spf to help my skin stay healthy. I love olay stuff! My summer plans include getting the outside of my house looking great and outdoor playtime & trips with the kids! The basket would help keep me looking fabulous! Boating, grilling, sitting out in the sun and reading.... just enjoying the warm weather. The basket would help with all my summer beauty needs! I am down in South America for the summer, so I'm actually currently in the winter season. This gift would help me get through my adjustment straight back into the cold. Thanks for the giveaway!